1 If you’re traveling by yacht, there are some amazing destinations in these United States for you to visit. 1.1 One of the top destinations is Beaufort, North Carolina. 1.2 Moving further south, Amelia Island, is the southernmost of the Sea Islands chain stretching from South Carolina to Florida. 1.3 Heading north on the east coast of the country, you can cast your lines into Annapolis, Maryland, and there will surely be someone to catch it. 1.4 Now we are over on the west coast, and farthest south in California is Coronado Island, a peninsula five miles from downtown San Diego. 1.5 Between Santa Barbara and San Francisco is the college coastal town of Santa Cruz. If you’re traveling by yacht, there are some amazing destinations in these United States for you to visit. 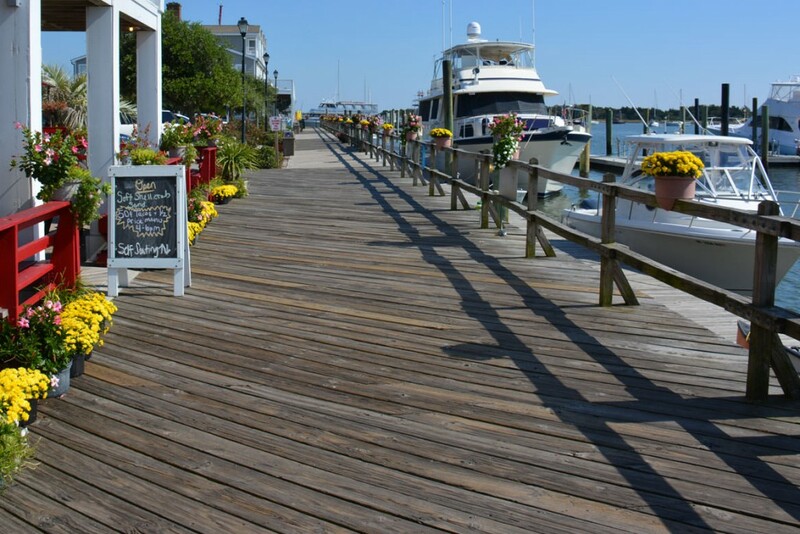 Each of these towns is renowned for the waterfront features and the seafaring accommodations. These are your around the USA yacht destination. One of the top destinations is Beaufort, North Carolina. This historic spot was the home of Capt. Edward Teach, otherwise known as Blackbeard, and his vessel Queen Anne’s Revenge. The North Carolina Maritime Museum boasts of an exhibit dedicated to the legendary pirate. Once you come into the port and dock, you are in walking distance from a multitude of top-notch eateries, pubs, and shops. For the fishermen and women, the area is famous for tuna, wahoo, and billfish. Also, custom boatbuilder Jarrett Bay Boatworks calls Beaufort home amid its massive marine industrial park providing all types of service for yachts. Moving further south, Amelia Island, is the southernmost of the Sea Islands chain stretching from South Carolina to Florida. Although it is only thirteen miles long, it packs all of the old Florida charm into the small area. It is often referred to as the Isle of Eight Flags because of the variety of flags that have flown over the island since 1562: Spain, France, Great Britain, Mexico, the Confederacy, and the United States are among them. Heading north on the east coast of the country, you can cast your lines into Annapolis, Maryland, and there will surely be someone to catch it. There are nearly a dozen marinas that pull you into the city, and there are plenty of seafaring amenities to keep you there, including high-speed fuel pumps, WiFi access, and immaculate facilities. The dining options in Annapolis are aplenty: Café Normandie and Luna Blu Ristorante Italiano are both praised and in walking distance of the marinas. Lighthouses, beautiful sunsets, the schooner Woodwind, and the U.S. 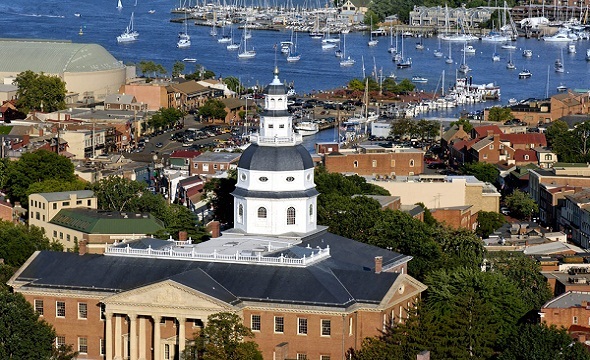 Naval Academy are all attractions in this bustling maritime town. Lesser known, but no less beautiful is Block Island, Rhode Island. Fourteen miles east of Long Island’s Montauk Point, Block has free white, sandy beaches and water so clear, you can “see your toenails,” as they say. Many famous visitors rave about this beautiful spot, including Presidents Grant, Roosevelt, Eisenhower, and Clinton. But one famous visitor is said to have buried treasures there, namely Captain Kidd. Making our way into the northernmost region, we arrive at Boothbay, Maine, truly a sailor’s delight. It bills itself as “The Boating Capital of New England,” and by perusing the variety of sailboats, fishing boats, and excursion vessels, there is little room for doubt. Maine’s original lobster boat, the Friendship Sloop calls this spot home as does the Maine Maritime Museum, the Pemaquid Point Lighthouse, and the Farnsworth ArtMuseum, with its impressive collection of Homers, Bensons, and Wyaths. Activities in Boothbay seem limitless: whale-watching and seal-watching cruises, outings to the artists’ colony on Monhegan Island, fishing charters, and kayak rentals are all offerings once you are docked. Now we are over on the west coast, and farthest south in California is Coronado Island, a peninsula five miles from downtown San Diego. A quintessential yachting destination, Coronado features beautiful beaches and year-round sunshine, as well as being a huge biking town. With the gorgeous sunsets, fine dining is done best here at the waterfront viewing the San Diego skyline. San Diego itself is also a haven for yachting enthusiasts. The huge naval presence is easily noticed here, and the USS Midway Museum offers visitors a chance to understand the experience of living at sea as the sailors once lived. 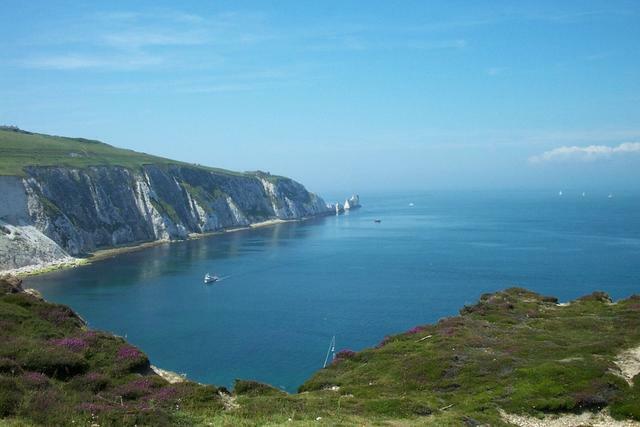 The bay here is about 47 square miles in size and offers plenty of space for all types of seafaring adventures. In the middle of California, Santa Barbara is nicknamed “The American Riviera,” due to the fair climate resembling that of the Mediterranean. The Santa Ynez Mountains tower over the town with its beautiful beaches. Furthermore, there are nearly 30 species of whales and dolphins traveling through the Santa Barbara channel every year. As a bonus, this is a town filled with more than 100 wineries. Between Santa Barbara and San Francisco is the college coastal town of Santa Cruz. It is a watersports paradise and home to the world’s best surfers. This is also the home of the country’s oldest amusement park: the Santa Cruz Beach Boardwalk, opened in 1907. San Francisco is a sailor’s heaven. A yachtsman may cruise here for weeks—Sausalito, Alameda, Oakland, backwaters , fifteen rivers, creeks draining into the bay—it is a veritable waterland in all directions. Boating in the San Francisco Bay does present its challenges, though. Mark Twain once stated that the coldest winter he ever spent was a summer in San Francisco. Plus, there is a huge variety of “microclimates” near myriad hills and mountains. Let’s not discount the fog…as poet Carl Sandburg said “rolls in on little cat feet” across the bay and into the city. The boating challenges abound here for the adventurer. The Northwest of the U.S. offers some of the most breathtaking scenery and fascinating marine life one can see anywhere. In Roche Harbor, Washington, you can tie up and view the amazing orcas. There are also astounding vistas of Puget Sound from your location on San Juan Island. The marina at Roche Harbor can accommodate vessels of up to 150 feet. This is only a partial list of the most boat-friendly continent on the earth—this United States of Yachts.